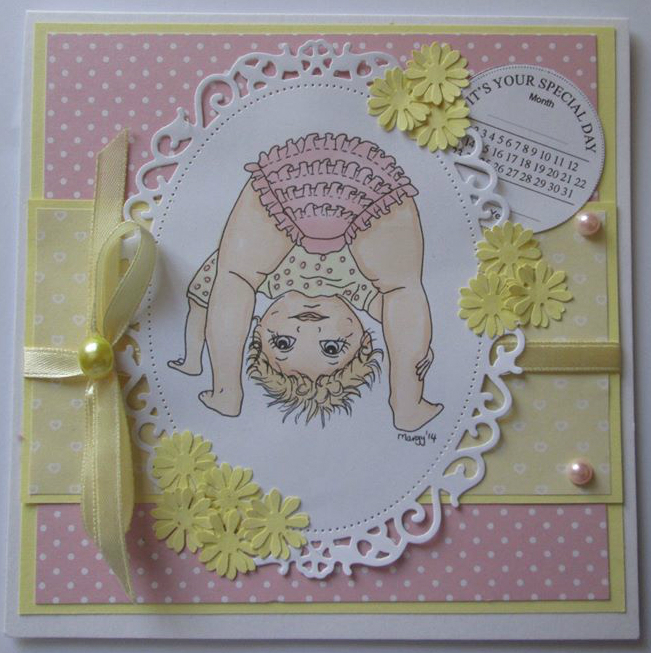 one happy little crafter: More from The Crafty Freinds and our Punches! Hope you are having a great weekend, are you up to anything exciting? This is gorgeous Lisa, such a sweet image and I love the pretty colours. What a sweet image Lisa and such pretty colours. Baby Erin will be doing the same before you know it!! Aww Lisa, this is just adorable! Such a sweet image & perfect colours! This is gorgeous Lisa, adorable image and love the pretty colours. Thanks for the lovely message you left me about my daughter leaving primary school.